One of my favorite fall activities is apple picking. 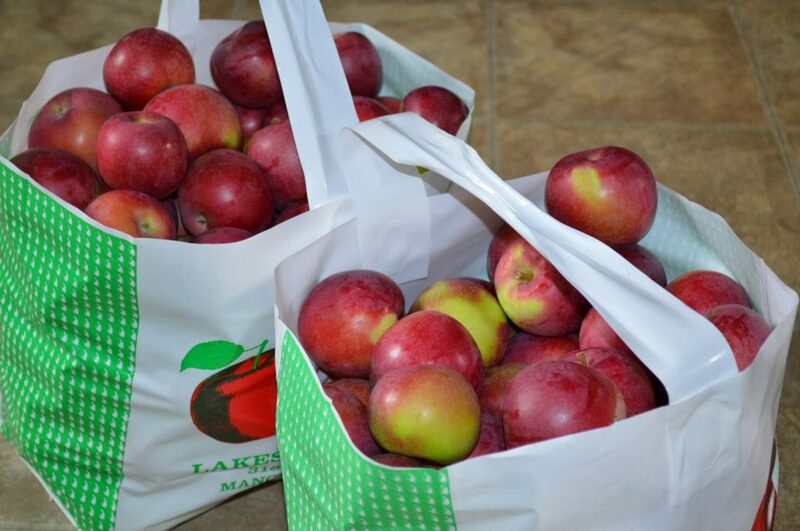 It is something we do every year, and every year we come home with tons of apples. This year was no different! We ended up picking a little over 40 lbs in probably 15 minutes. With all of these apples comes a week of trying to preserve them. Since I didn’t make it out for strawberry picking, I will be making most of these apples into apple jelly. I also plan to make apple butter. I made some a couple years ago, and it was delicious. A thick sweet spread to put on muffins, or to eat with toast. I have heard that a lot of people will pair apple butter with meat pies or pork. We haven’t tried that before, but it is something we probably will try this winter. I want to make some applesauce as well, because there is nothing like homemade applesauce. Unfortunately, my kids are not big fans of applesauce. I think it must be a texture issue because they both love cinnamon and sugar and apples. And honestly, I don’t like apple pie for that very reason, texture, so maybe they have inherited that issue from me! My final plan is to make a rhubarb apple chutney that I found a recipe for in my canning book. 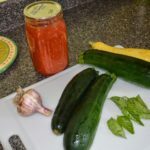 I spent some time in the spring freezing the abundance of rhubarb, with the plan of making strawberry rhubarb sauce. But again, I didn’t pick any strawberries, so I needed another idea. This sounds like a good sauce for a stir fry over rice. I hope to go back and pick another bushel of apples for storage. Although, I have a feeling that we will end up eating a large portion of these just picked apples fresh, and my second trip to the orchard will be for the canning. The kids haven’t had fresh apples since the last of the storage apples last winter, so I think they are ready to gorge themselves on them. And honestly, so am I! Are you picking apples this year? 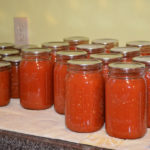 Do you preserve them in a specific way, or do you mainly store them for fresh eating? I went apple picking spontaneously yesterday. My campground has trees and more apples than they can possibly use so they let me pick as much I was wanted. My name is Katie and I host Fall Into the Holidays, open Saturdays! I'd love to have you link up! Oooh great ideas here! Granny and I picked 27lbs last week and I made them all into apple sauce on Sunday, except for two bags that I sliced up and seasoned to freeze for pies. What a great annual tradition you've got going on! We are going to try to go this weekend:) It's so fun and the colors and smells are wonderful. Huge harvest you have there!! I would love to go back and pick another round since we have gobbled them up so quickly! 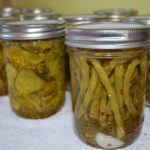 Your preserving plans sound delicious! Way to make me hungry this AM! I've always wanted to go apple picking! There used to be an orchard near us but it is no longer open to the public. Need to find a new place! Maybe in Michigan? Since we live in Ohio, that wouldn't be too far.Homemade apple butter sounds amazing!